Liang FENG received the PhD degree from the School of Computer Engineering, Nanyang Technological University, Singapore, in 2014. He was a Postdoctoral Research Fellow at the Computational Intelligence Graduate Lab, Nanyang Technological University, Singapore. He is currently an Assistant Professor at the College of Computer Science, Chongqing University, China. 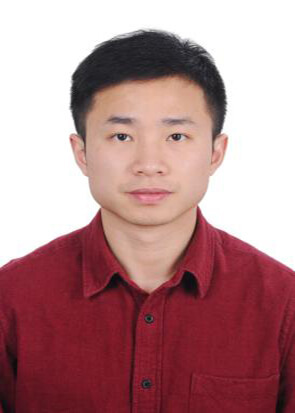 His research interests include Computational and Artificial Intelligence, Memetic Computing, Big Data Optimization and Learning, as well as Transfer Learning. a) Rankings and impact factors are extracted from Journal Citation Reports published by Thomson Reuters at “http://about.jcr.incites.thomsonreuters.com“. b) Corresponding author is marked by *. S. Jiang, C. Xu, A. Gupta, L. Feng, Y. S. Ong, A. N. Zhang, and P. S. Tan. Complex and Intelligent Systems in Manufacturing and Supply Chain. IEEE Potentials Magazine, vol. 35, no. 4, pp. 23-28, 2016. L. Feng, Y. S. Ong, X. Chen and C. Chen. Conceptual Modeling of Evolvable Local Searches in Memetic Algorithms using Linear Genetic Programming: A Case Study on Capacitated Vehicle Routing Problem. Soft Computing Journal, Accepted 2015. Y. Li, Z. Huang, J. Zhong, and L. Feng. Genetic Programming for Lifetime Maximization in Wireless Sensor Networks with Mobile Sink. the 11th International Conference on Simulated Evolution and Learning, November 10-13, 2017, Shenzhen, China. Kai Liu, L. Feng, Penglin Dai, Weiwei Wu, Victor Lee and Sang Son. A Memetic Algorithm for Cache aided Data Broadcast with Network Coding in Vehicular Networks. 2017 IEEE Global Communications Conference: Mobile and Wireless Networks, Singapore, December 4-8, 2017. L. Feng, W. Zhou, L. Zhou, S. W. Jiang, J. H. Zhong, B. S. Da, Z. X. Zhu, and Y. Wang. An Empirical Study of Multifactorial PSO and Multifactorial DE. IEEE Congress on Evolutionary Computation, Spain, June 5-8, 2017. L. Zhou, L. Feng, A. Gupta, Y.-S. Ong, K. Liu, C. Chen, E. Sha, B. Yang and B. W. Yan. Solving Dynamic Vehicle Routing Problem via Evolutionary Search with Learning Capability. IEEE Congress on Evolutionary Computation, Spain, June 5-8, 2017. K. Bali, A. Gupta, L. Feng, Y. S. Ong, and P. S. Tan. Linearized Domain Adaptation in Evolutionary Multitasking. IEEE Congress on Evolutionary Computation, Spain, June 5-8, 2017. J. Wang, K. Liu, P. Dai, E. Sha, L. Feng, C. Chen and C. Xiao. Cooperative Information Services Based on Predictable Trajectories in Bus VANETs. Proc. of the 18th IEEE International Conference on High Performance Computing and Communications (IEEE HPCC’16), Sydney, Australia, December 12-14 2016. L. Zhou, L. Feng, J. Zhong, Y. -S. Ong, Z. Zhu, E. Sha. Evolutionary Multitasking in Combinatorial Search Spaces: A Case Study in Capacitated Vehicle Routing Problem. The 2016 IEEE Symposium Series on Computational Intelligence, 2016. P. Dai, K. Liu, L. Feng, Q. Zhuge, V. Lee and S. Son. Towards Real-Time and Temporal Information Services in Vehicular Networks via Multi-Objective Optimization. Proc. of the 41st IEEE Conference on Local Computer Networks (IEEE LCN’16), Dubai, UAE, November7-10, 2016. Z. Ye, L. Feng, Y. S. Ong, K. Liu, C. Chen and E. Sha. A Preliminary Study on Distance Selection in Probabilistic Memetic Framework for Capacitated Arc Routing Problem. IEEE WCCI-CEC 2016, Vancouver, Canada. S. Jiang, L. Feng, K. H., Q. C. Nguyen, Y. S. Ong, A. N. Zhang and P. S. Tan. Adaptive Indicator-based Evolutionary Algorithm for Multi-objective Optimization Problems. IEEE WCCI-CEC 2016, Vancouver, Canada. S. Jiang, L. Feng, D. Yang, Y. S. Ong, A. N. Zhang, P. S. Tan, Z. Cai and C. K. Heng. Towards Adaptive Weight Vectors for Multi-objective Evolutionary Algorithm by Decomposition. IEEE WCCI-CEC 2016, Vancouver, Canada. Y. Hou, L. Feng and Y. S. Ong. Creating Human-Like Non-Player Game Characters using A Memetic Multi-Agent System. IEEE WCCI-IJCNN 2016, Vancouver, Canada. A. Gupta, Y. S. Ong, B. Da, L. Feng and D. Handoko. Landscape Synergy in Evolutionary Multitasking. IEEE WCCI-CEC 2016, Vancouver, Canada. B. Da, A. Gupta Y. S. Ong, and L. Feng. Evolutionary Multitasking across Single and Multi-Objective Formulations for Improved Problem Solving. IEEE WCCI-CEC 2016, Vancouver, Canada. B. Da, A. Gupta, Y.-S. Ong, L. Feng, and P. S. Tan. The Boon of Gene-Culture Interaction for Effective Evolutionary Multitasking. Australasian Conference on Artificial Life and Computational Intelligence (ACALCI 2016), Accepted, 2016. X. S. Chen, Y.-S. Ong, L. Feng, M. H. Lim, C. S. Chen and C S. Ho. Memetic Ant Colony System for Resource Gathering on Navigation Graph. The 17th Asia Pacific Symposium on Intelligent and Evolutionary Systems, 2013. L. Feng, Y.-S. Ong, A.-H. Tan and X. Chen. Towards Human-like Social Multi-agents with Memetic Automaton. IEEE Congress on Evolutionary Computation 2011, pp. 1092-1099, 2011. Z. Pan, L. Feng, Y.-S. Ong, Y. Kang, A.-H. Tan and C. Miao. Meme Selection, Variation and Transmission in Multi-agent System. World Automation Congress 2010, Kobe, Japan, pp. 1-6. 2010. L. Feng, Y.-S. Ong, Q. H. Nguyen and A.-H.Tan. Towards Probabilistic Memetic Algorithm: An Initial Study on Capacitated Arc Routing Problem. IEEE World Congress on Computational Intelligence, Congress on Evolutionary Computation 2010, Barcelona, Spain, pp. 18-23, 2010. L. Feng, Y. Yang and Y. Wang. A New Approach to Adapting Control Parameters in Differential Evolution Algorithm. The7th International Conference on Simulated Evolution And Learning (SEAL2008), pp. 21-30, 2008. Co-chair of the special session “Genetic programming and its applications” will be held at ICONIP 2017. Co-chair of the competition: “Multifactorial Optimization: Evolutionary Single and Multi-Objective Multi-Tasking” , CEC 2017. Co-chair of Special Session on Memetic Computing, IEEE CEC 2017, June 5–8, Donostia – San Sebastián, Spain, 2017. Co-chair of Special Session on Memetic Computing, IEEE WCCI 2016, July 25–29, Vancouver, Canada, 2016. Co-chair of Special Session on Optimization Neural Network via Evolutionary Computation and Swarm Intelligence, IEEE WCCI 2016, July 25–29, Vancouver, Canada, 2016. Co-chair of Special Session on Multitasking and Knowledge Transfer in Evolutionary Computation，IEEE SSCI 2016，Dec. 6-9, Greece, 2016. SMC: IEEE Systems, Man & Cybernetics Conference , etc.